* One (1) visit per month - exterior hand clean/dry, tires, rims, wheel wells, tire shine + premium carnauba spray wax. $35/ month per vehicle. * Two (2) visits per month - exterior wash + wax services. $55/ month per vehicle. * One (1) visit per month - exterior wash + wax service. Interior services include- detailed interior vacuuming, odor eliminator, door jams, in + out windows, wipe down interior dash and cup holder area. $50/ month per vehicle. * Two (2) visits per month - exterior + interior services. $80/ month per vehicle. Some areas may not be eligible for service or will require additional fees. Please call 706-907-0709 or e-mail chase.deck@detailxperts.net for questions. FREE EXTERIOR AND INTERIOR UPGRADES: Upon enrollment we perform free detailing upgrades worth hundreds of $$$. Exterior upgrades such as: headlight restoration, compounding/polishing for scratch removal - oxidation, clay bar service, premium hand wax. 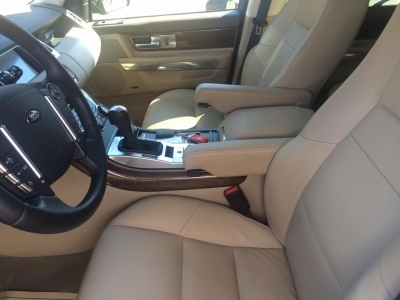 Interior upgrades such as: complete interior steam cleaning, leather conditioning,pet hair removal, stain removal, odor removal, AC steam flush and scotch guard carpets/cloth. Our goal is to correct your vehicles exterior + interior then maintain that condition thru the life of the service! We continue the free upgrades (as needed) thru the life of the service! To download enrollment form, please click here.